Creative Mountain Games: Merry Christmas to All! And to All Some Cool Dice! Merry Christmas to All! And to All Some Cool Dice! Just a note to wish all of my friends who celebrate Christmas a very, merry one, indeed! 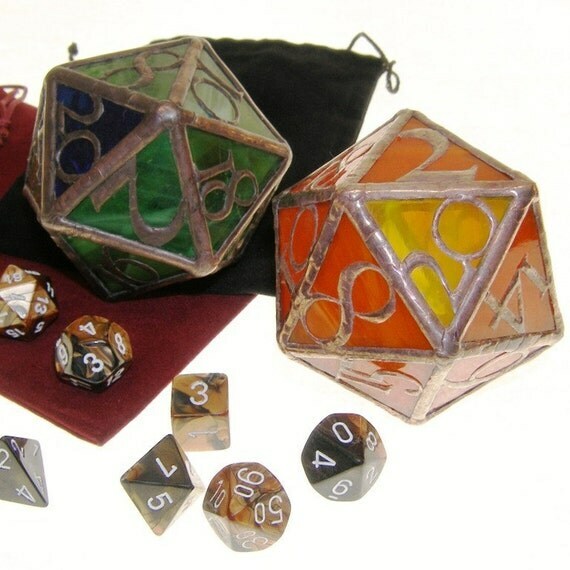 And just to go a little further, here is a place on Etsy where someone is selling stained glass d20s in holiday colors, or any colors you choose. I think they'd make great tree ornaments for next year!